- Add in the flour, baking opwder, salt, and cinnamon. Mix Well. 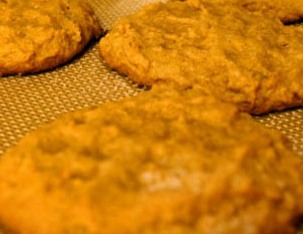 I love to make this pumpkin cookie recipe during halloween and thanksgiving. The smell the cinnamon and pumpkin give off really gets you the holiday feel.